This month we are sitting down with Jeff Wood, of LeisureMedia360, to get some insight on the success of a number of his recent digital media strategies. Jeff is the Digital Publications Editor at LeisureMedia360, stationed in Roanoke, Virginia. He’s been a partner with Nxtbook Media for three years strong and regularly engages with his Nxtbook Media team to keep up on current industry trends and new features that are available. 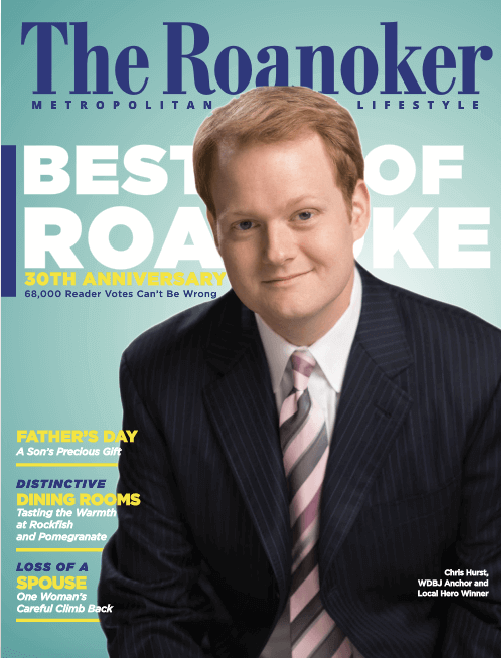 At the heart of our discussion is the most recent issue of The Roanoker magazine, The Roanoker – May/June 2016. This digitally optimized magazine is chop full of extras, engaging content and the magazine even has its own iOS app. What tactics have you used to increase the visibility of your content? With The Roanoker – which celebrates its 42nd year of publication in 2016 – our print edition has always been available to paid subscribers and on local newsstands. However, our digital edition has been made available to the public for free since its launch in January of 2014, with the intent of increasing the accessibility of the magazine in our market and attracting more readers for ourselves and for our valued advertisers. When I started here as an Associate Editor nearly 11 years ago the situation was very different. Back then our digital marketing efforts were limited mostly to providing issue previews on our relatively small website that were designed to encourage readers to subscribe or purchase a copy on newsstands. But over time our websites and digital outreach programs have grown dramatically, increasing our ability to reach and engage with new readers in our market and allowing us to raise overall market awareness of our publications in ways that were not possible five to ten years ago. Yes. As I mentioned, over the last five years all of our digital programs have grown dramatically. Most recently that change has revolved around an increased focus on our email marketing. In recent years we were seeing that our email marketing campaigns were doing a good job of driving traffic to our sites and spurring interest in our content. At the same time, like many other publishers, we were cautious of becoming too dependent on social media. Social media is incredibly powerful, and we continue to leverage it. But we also wanted more ownership of our audience. So, last fall, we decided to begin using our digital edition of The Roanoker as a key tool for email collection. So far that new approach has helped us collect thousands of new email records and increase our email newsletter database by more than ten percent in less than nine months! How did you make this a user-friendly experience for readers? We accomplished this by presenting our online readers with a simple form positioned between the website and our digital archives that offer them the opportunity to opt-in to our e-newsletters before they view the digital edition. After they complete the form they are delivered directly to the digital archive page, where they can then access our entire library of digital issues. These readers also receive an email confirmation thanking them for their interest in our magazine and providing them with a direct link to the archive that they can bookmark in order to bypass the form on future visits. This edition also capitalizes on one of our most recent features, subpages. Can you tell me a little bit about why you chose this feature, how you’re using it? That’s right. Last year, while attending an event hosted by Nxtbook in Lancaster, I became aware of the new feature of subpages for the first time and quickly became excited about the potential applications. While most of the examples demonstrated at that time focused on presenting a few extra pages or creating in-page slideshows (which are also very slick applications) I immediately seized upon the idea of using this feature in a much broader way to increase overall readability throughout an entire issue while still operating in an enhanced-replica format. For years digital magazine apps had offered the ability to navigate both horizontally and vertically, and I saw the same potential to do that with our Nxtbook digital editions using these new subpages. Soon after I returned to my office I began working with my great production contacts at Nxtbook to test this idea, and we quickly arrived at a solution that allowed us to apply subpages to create “overflow” space that we could use to increase the readability of the digital magazine without needing to entirely re-design every individual layout. By making only minor changes to the flow and size of the fonts and using those overflow pages for the remainder of the text, we were able to produce an instant increase in readability that makes the digital edition more comfortable to read and enjoy, whether you are on a desktop, laptop, tablet or even on a smartphone. What do you do design-wise to be sure that your readers don’t miss the extra content that you include? The subpage feature, by default, offers small gray arrows the denote the ability to navigate vertically. In our case, we opted to turn off that default icon and build more prominent icons into our actual PDF files. Initially, these icons were excessively large by design, to ensure readers would notice them and also because on smaller devices like phones and tablets everything needs to be larger if you want it noticed. But over time we have scaled the size of those icons down some, and we intend to reduce the size again soon now that our regular readers have been exposed to it for several issues. What kind of response have you had from your audience? Funny you should ask, but not much – which is actually what we expected and hoped for! If executed properly, this strategy was meant to be something so seamless and effortless that our reader would just continue reading comfortably without even thinking about why the vertical overflow pages are there. But an early demo that we created for internal purposes shows the stark difference between the straightforward replica approach and the optimized approach employing the overflow pages. When you see that demo – particularly on a tablet or phone – the difference in readability is night and day. Zoom is still supported, and on a phone there are of course limits. But there is a wealth of research out there that makes that case that readability is critical for digital magazines, so this was something we had wanted to address for a long time. Subpages were the key to finally making it possible. We’ve talked a lot about the importance of cross-promotion. What mediums do you use to promote your content? We leverage every medium we can when it comes to cross-promotion, but the big ones I would say are email, social media, our websites, and print. If we have a special cover story, contest or promotion running, we will, of course, promote it in print, but we will then cross-promote that content through email campaigns and social media posts. If content from one of our magazines is relevant to the audience of one of its sister publications – which occurs occasionally given the geographic overlap between our core titles – we will often promote that content to both audiences, increasing overall visibility within our own family of titles. And locally we also have partnerships with other media in Roanoke that allow us occasional opportunities to appear on local TV and radio to talk about our content. So we find that a blend of strategies and platforms is always helpful. How often do you push content to each of the mediums? Our websites are updated at the launch of every print issue, which for us is every other month for our core titles. Beyond that, we also work to post online exclusive content as much as is feasible. That can take the form of a weekly reader photo blog series, contests for free tickets, or just a cool story that for some reason did not fit into the printed issue. When it comes to social media, we share content and links daily, often multiple times per day. BothThe Roanoker and Blue Ridge Country also have standing monthly e-newsletters that highlight a variety of stories from the current issue, and we have developed a few more email verticals under those titles as well, including a monthly reader-driven photography newsletter for Blue Ridge Country, and a Deals & Giveaways newsletter for The Roanoker. Currently, we’re also exploring the possibility of adding monthly events newsletters to the mix, which reader research tells us would be received well by our audience. LeisureMedia360 is an experienced, trusted publishing partner for local, regional and statewide travel, leisure and tourism clients with a more than 43-year record of award-winning custom publications and periodicals. To learn more visit LeisureMedia360.com.